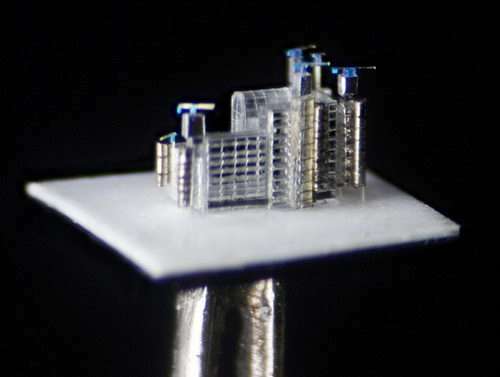 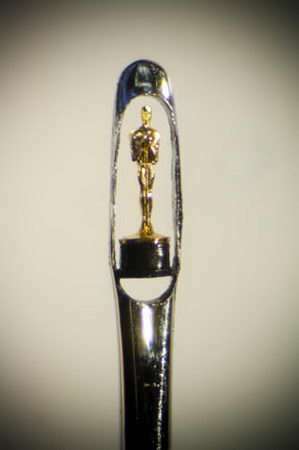 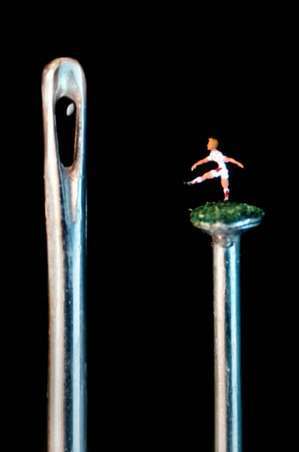 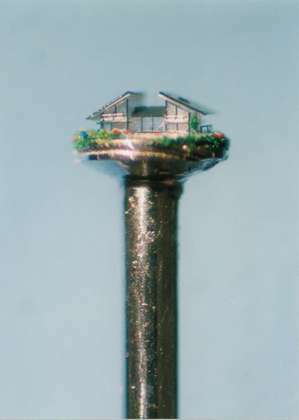 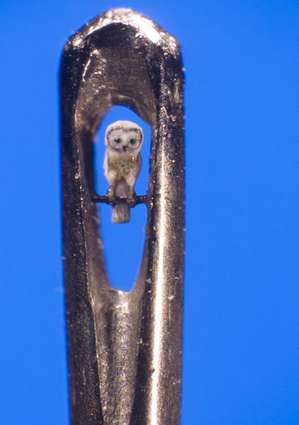 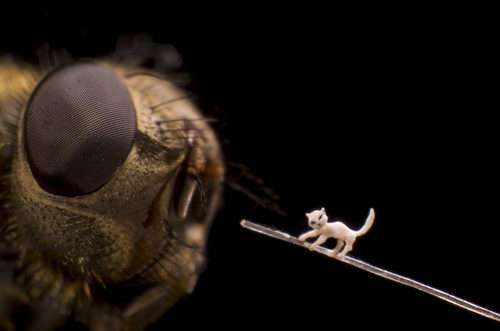 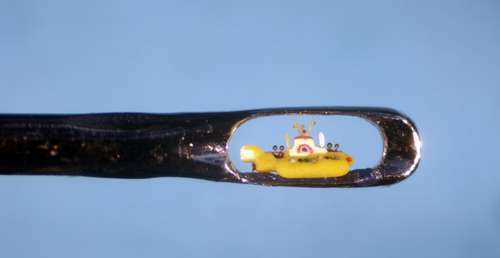 Micro-sculptor Willard Wigan is known all around the world for his miniature sculptures that are invisible to the naked eye. 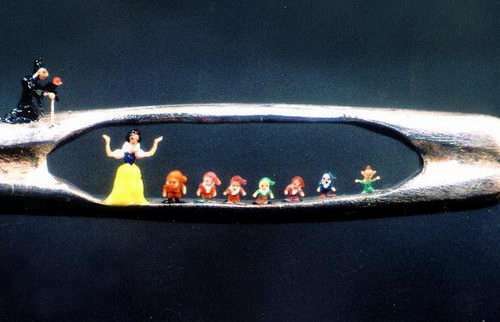 Willard uses tiny homemade tools and paints with a hair plucked from a housefly’s back and carves microscopic figures from grains of rice or sand or sugar. 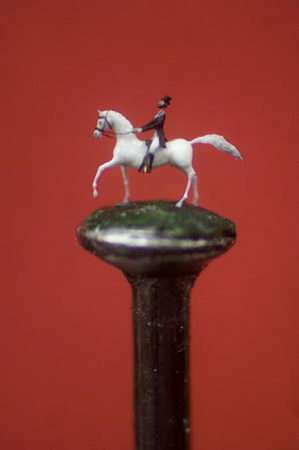 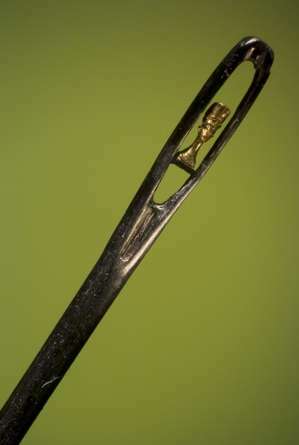 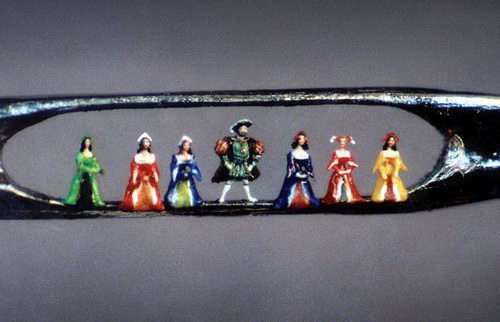 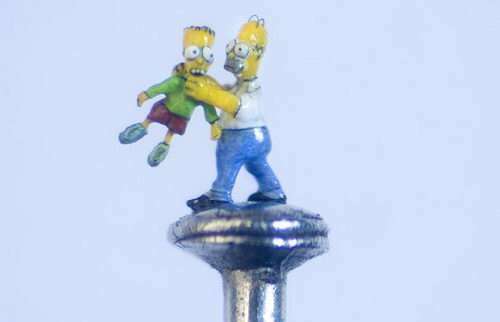 The sculptures, which often take months to complete, are then mounted on pin heads or needles. 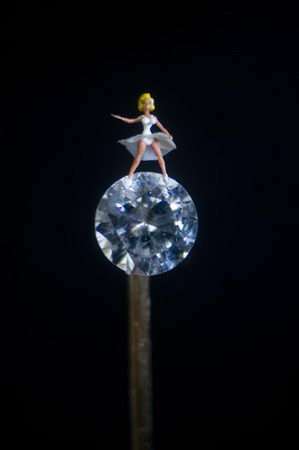 Now, Willard’s work is described as “the eighth wonder of the world”. 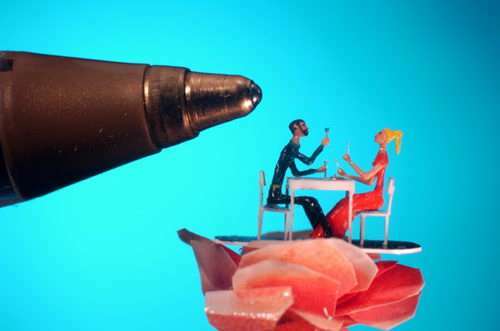 To view more of his work , you can visit Willard Wigan’s website. 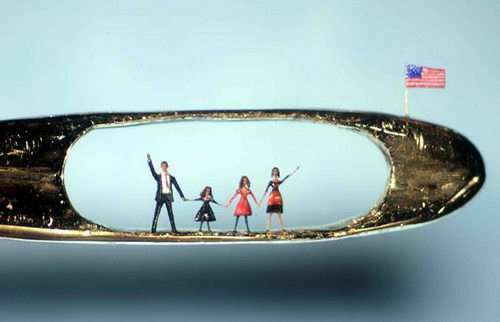 Pictured is a miniature sculpture of the US President Barack Obama and his family.